Online, Blended Learning courses brought to you by the North Carolina Public Safety Leadership Academy, a collaborative partnership between Wake Tech Community College’s CALEA accredited Public Safety Training Academy, the National Sheriffs Association, and the Institute for Credible Leadership Development, a division of the International Academy of Public Safety. With leadership education you can advance the esprit de corps of your agency by encouraging all officers to become MAGNUS Officers. The best way to become MAGNUS is to study and practice leadership skill regardless of rank. 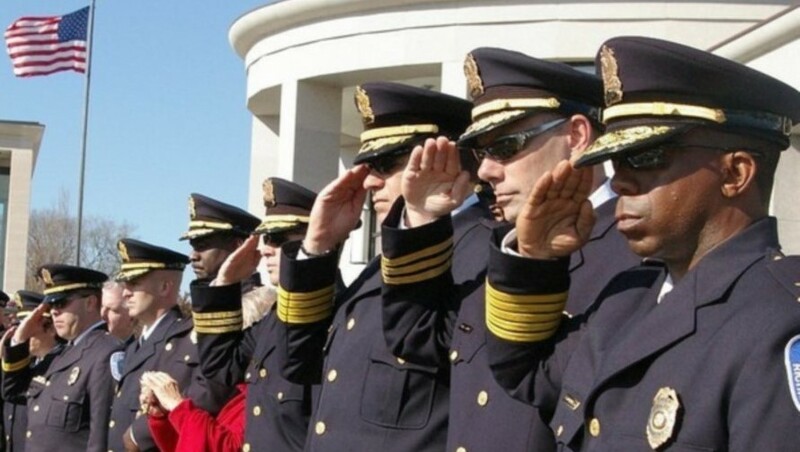 The driving vision of the Academy – Law Enforcement Credible Leadership from the bottom up – is a powerful, proven leadership journey that leverages the knowledge, experience and know-how of top national leaders and experts. 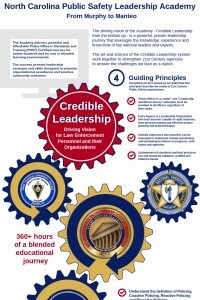 The art and science of the Law Enforcement Credible Leadership system work together to strengthen 21st Century agencies to answer the challenges we face as a nation. Public Safety Leadership Academy courses at Wake Tech Community College are eligible for “fee waiver” by NC General Statute 115D-5(b)(2). If you are a sworn law enforcement officer in the State of North Carolina, currently employed by a municipal, county or state law enforcement agency as well as campus police agencies within the UNC system or NC Community Colleges system, you are eligible to participate in these courses at no cost. Students that do not meet the eligibility requirements for fee waiver will be charged a tuition fee of $180 for each course. Please select the appropriate registration link to the right. Online education is an integral part of Wake Technical Community College’s program offerings. In compliance with the U.S. Department of Education State Authorization Requirements in Section 600.9(c) of the October 29, 2010, final program integrity rule, Wake Tech is pursuing authorization from states and territories beyond North Carolina’s borders to offer online courses to students who do not reside in North Carolina. Wake Tech will continue to monitor developments in other states and territories, and if authorization or licensure is or becomes necessary, the College will obtain approvals. Please click the “Distance Education State Authorization” link above to see if your state has authorization. Wake Tech’s Public Safety Training Academy is Nationally Accredited by CALEA!